This historical pin would make the perfect gift! 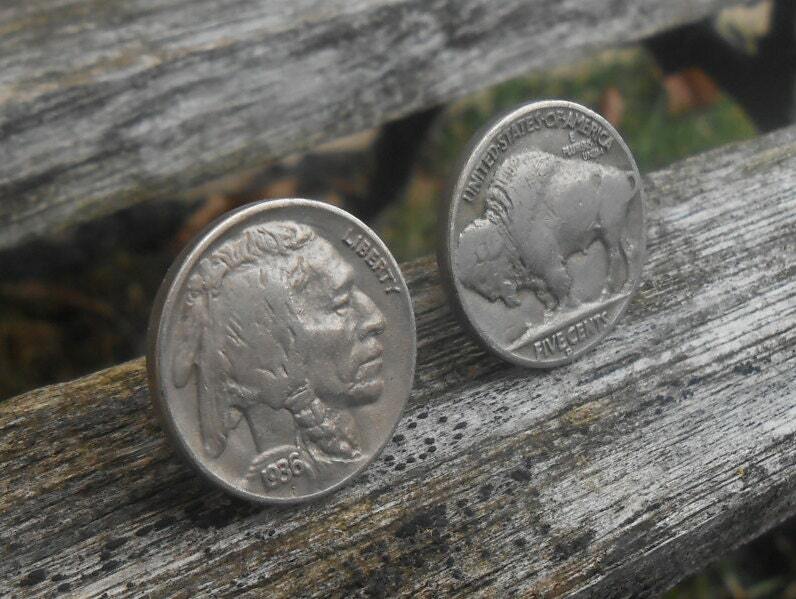 It has a real Buffalo Nickel, on a silver plated base. 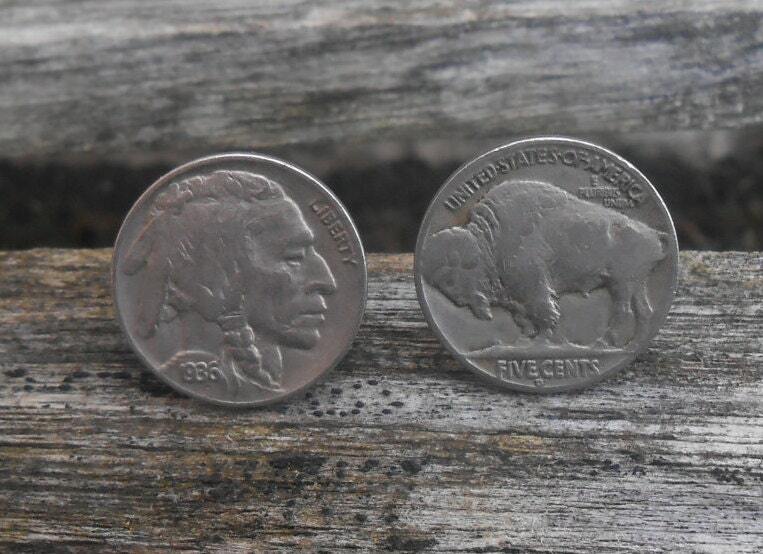 These are unique because they are no longer in circulation. 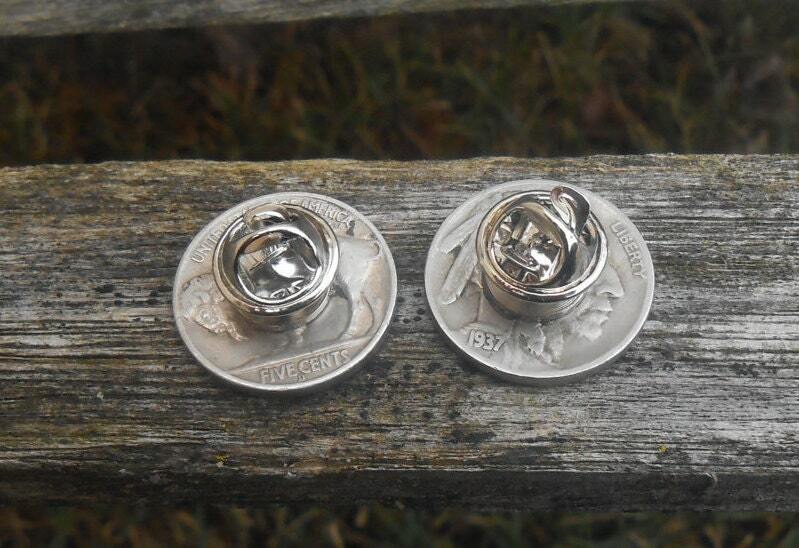 Great for a wedding, anniversary, Christmas, Father's Day, a birthday, a groomsmen gift, or just because. This listing is for ONE PIN. You can choose which side you want facing out. 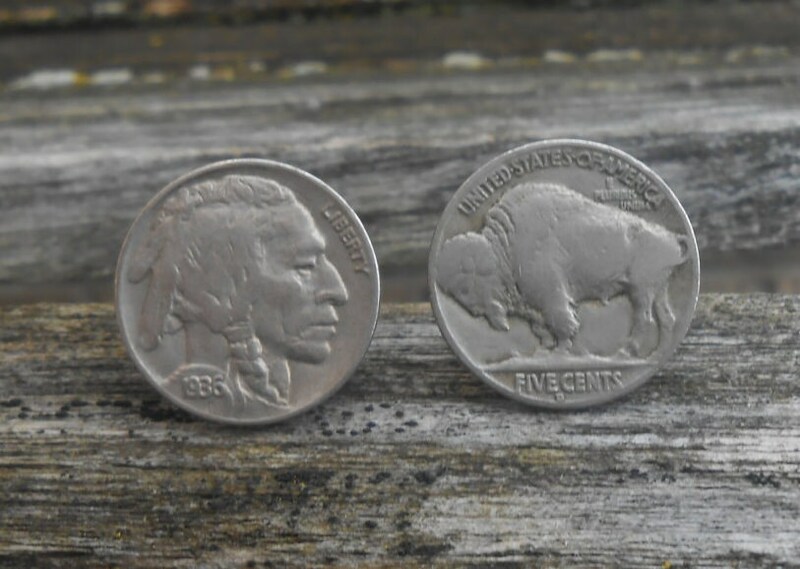 The nickel measures 7/8" across. *Year will vary. If you want a specific year, let me know at checkout and I will send it to you if I have it. 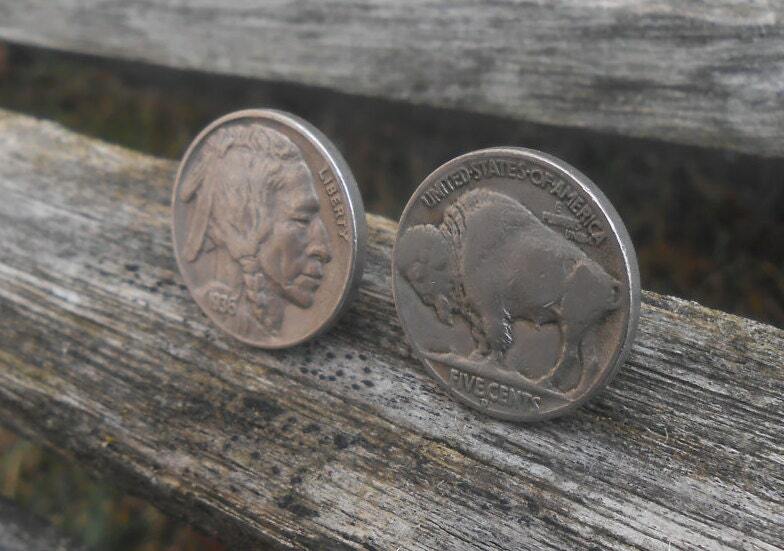 --->Choose if you want the Buffalo or the Native American head facing forward.